The second instance involved a salesman from a local lawn care company that promised he could make my lawn look “richer and fuller” in just two visits. I told him that the only thing I was interested in was a lawn treatment that could put my grass into some sort of cryostasis so that I would not have to mow it ever again. He looked at me like I was crazy, handed me a promotional flyer and went on his merry way. I’m pretty sure I heard him rip a huge fart as he descended my front steps. I guess that was his version of shaking the dust off his sandals (Matthew 10:14). I got something for ya! 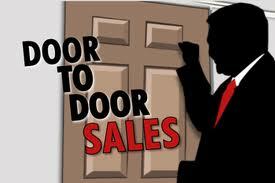 Recently I read somewhere that door to door sales is experiencing a massive resurgence. Now this is mainly due to legislation restricting telemarketers and better spam filters thwarting a majority of mass email campaigns. Nevertheless this got me thinking about churches that promote door to door evangelism/selling Jesus in response to the Great Commission. Is selling Jesus door to door an effective means of promoting the Gospel…or is this just another form of religious narcissism that makes Christians believe they are doing something for the kingdom of God? Ding Dong…Open your door and “Reach out Touch Faith”! 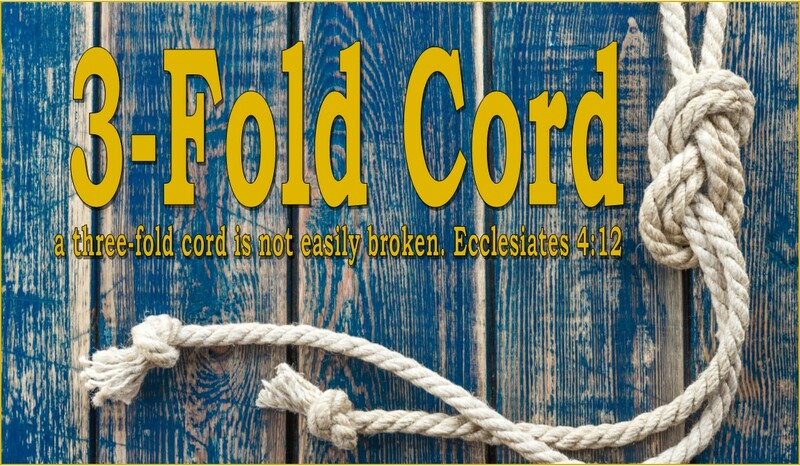 Does your church encourage door to door cold call ministries? 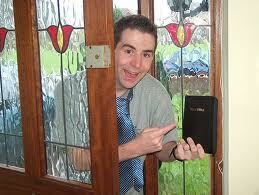 Have you ever done door to door evangelism? Was it effective? Have you ever listened to Depeche Mode? 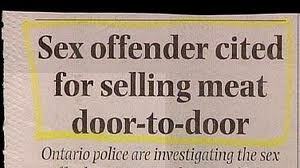 On second thought...Don't open the Door!